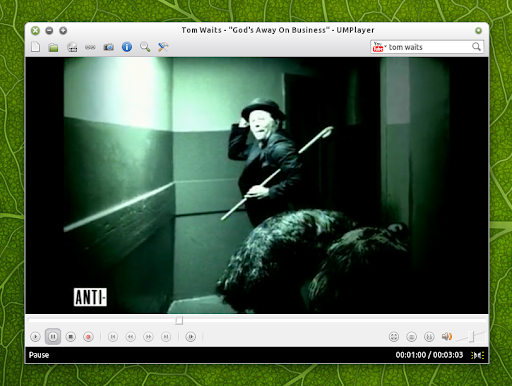 UMPlayer is a new cross-platform Mplayer front-end that supports CSS skins, easily searching, watching and downloading YouTube videos, lots of ShoutCast radio stations and more. A quick update: UMPlayer has been available in the main WebUpd8 PPA for a while now but I've decided to create an UMPlayer-only PPA for those who do not want to upgrade all the packages available in the main WebUpd8 PPA. There's also a new UMPlayer version available (both in the new stand-alone UMPplayer PPA and the main WebUpd8 PPA) which comes with lots of bug fixes. There's no changelog available, but you can take a look at the SVN log if you want to see what's new. For bugs reports, see the UMPlayer page @ Sourceforge.